A standout amongst the most powerful reviews display platform with 10 pre available templates for business reviews with user rating and 10 pre available badge for displaying business information. Display your business google places reviews to attract more reviews for local business. 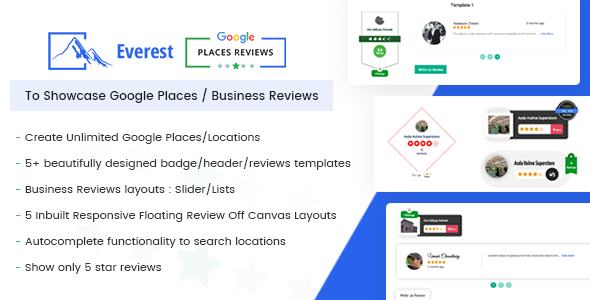 IF you have multiple business, then you can simply create multiple business reviews with different location and showcase it on specific page or post using shortcode. Showcase your business reviews in the most appealing way.